Some people thought this would be the week Nintendo unveiled the successor to the Wii. It wasn't. And while that day will inevitably come some day in the future, it doesn't look like it'll be any time soon. 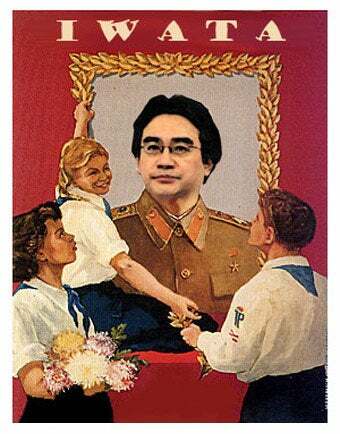 "I do not think that there is an immediate need to replace the Wii console", Nintendo President Satoru Iwata told Reuters at E3. "But of course, at some point in the future, the need will arise." "We currently do not have an answer as to what point in the future that need will come." Ah, of course you do. It can't be too far off. "When we first launched the DS and the Wii, very few people thought that we would have the success that we have had so far. Because of that, Nintendo had no choice but to try to create that market for those two platforms ourselves." "So when that time comes (for us to release a new platform) and we are able to garner third-party support coupled with our own properties, we will be able to create a very healthy environment for that platform." Third-party support is one thing. Good third-party support for a Nintendo console, now that's something else entirely.